Firefighters from Paint Creek Joint/EMS Fire District were on the scene Sunday night for a suspected fire at the Hillsboro Post Office. Upon arrival, crews found only smoke from a faulty HVAC unit on the roof. No damage was reported. The post office was closed Monday along with other government offices for the Martin Luther King Jr. holiday. It will re-open at 8:30 a.m. Tuesday. A suspected fire Sunday at the Hillsboro post office turned out to be only smoke from a malfunctioning heating, ventilation and air-conditioning unit, according to Paint Creek Joint EMS/Fire District Public Information Officer Lt. Branden Jackman, who told The Times-Gazette that firefighters found smoke inside the building when they arrived on the scene, but no fire. 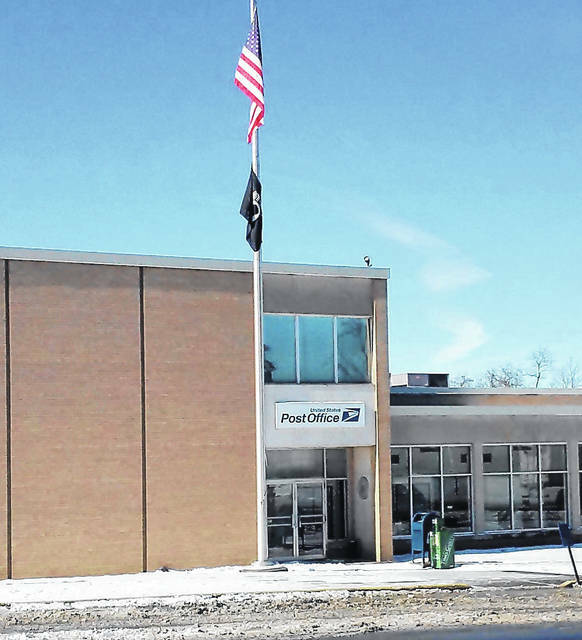 Despite frigid temperatures and icy and windy conditions, the Hillsboro Police Department and Highland County Emergency Management Agency redirected traffic from the post office’s North High Street location. Jackman said there was no damage and only minimal smoke issues, and though mutual aid was requested from both the fire departments in Lynchburg and Leesburg, they were later called off. Due to the Martin Luther King, Jr. holiday, all government offices including the post office were closed Monday. It will re-open for business at 8:30 a.m. Tuesday.